By admin at Jan. 5. 2012. Presenting the award for Volunteer Group of the Year is Downtown Revitalization Group manager, Karen Vanderhoff. Accepting in memory of Aline Huey, from left to right are President Pat Panighetti, Diane Raymondo, Vice-president Sharon Bobal and Julie Wildaur. The Down to Earth Garden club recently received the Volunteer Group of the Year award from the Downtown Revitalization Group. It was accepted by 2011 president, Pat Panighetti, in memory of Aline Huey who was President Elect for 2012. The award was presented at a reception at the Winkler Gallery by Karen Vanderhoff, Director of the Downtown Revitalization Group. Also present for the presentation were Vice-president Sharon Bobal, and members Julie Wildaur, Diane Raymondo and Jan Petrosky. 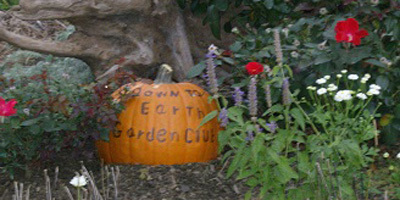 The Down to Earth Garden Club has been serving the community for over 15 years. 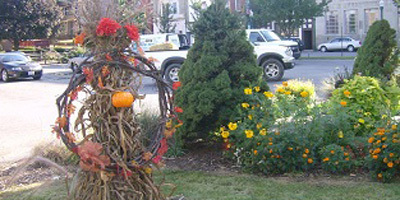 It has planted and cared for hundreds of plants on public property or for non-profit organizations. 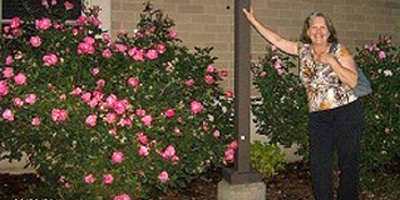 One of the first projects was the DuBois Public Library where one tulip bloomed amid an ocean of weeds before the group re-landscaped the area. The list of garden club’s works has expanded to include over a dozen separate areas including a teaching bed at Parker Dam, the multiple flowering beds on the embankment at the foot of Liberty Boulevard, the City Building and the old Pershing parking lot. The latest addition to the list is the area around the Reitz Theater, which was planted in specially ordered named variety hostas. The group also provides expertize and plants for non-profit organizations that wish to set up flowering beds and borders. One of the most endearing beds is a butterfly shaped bed at the DuBois Area Catholic School that was done in conjunction with the kindergarteners and their teacher, Lisa Huot. The children worked hard to create a charming bed outlined in white stone that was planted with flowers and schrubs that attract butterflies. Other projects can be found at local nursing homes, schools and other non-profit organizations. Several years ago the garden club placed several self-watering planting troughs at St. Michael’s Terrace for the use of residents who missed the therapeutic experience of working with plants.